You may be familiar with the Grisha fantasy world that is the setting for Bardugo’s other books: Shadow and Bone, Ruin and Rising, and Siege and Storm. However, fear not, for it is not necessary to read Bardugo’s other series in order to enjoy Six of Crows. I know this for a fact because I did this very thing. In the strange and bleak country of Ravka, the Grisha–humans who possess an array of magical powers–are sought out and turned into warriors. The superstitious Fjerdans take young men and turn them into witch-hunters, killers of the Grisha who they believe are less than human. In a city called Ketterdam on the island of Kerch, in the crime-ridden neighborhood called the Barrel, there lives a young thief and gang leader named Kaz Brekker. The rumors say there’s no job so vile that Kaz won’t take it, and his reputation earns him the nickname Dirtyhands. 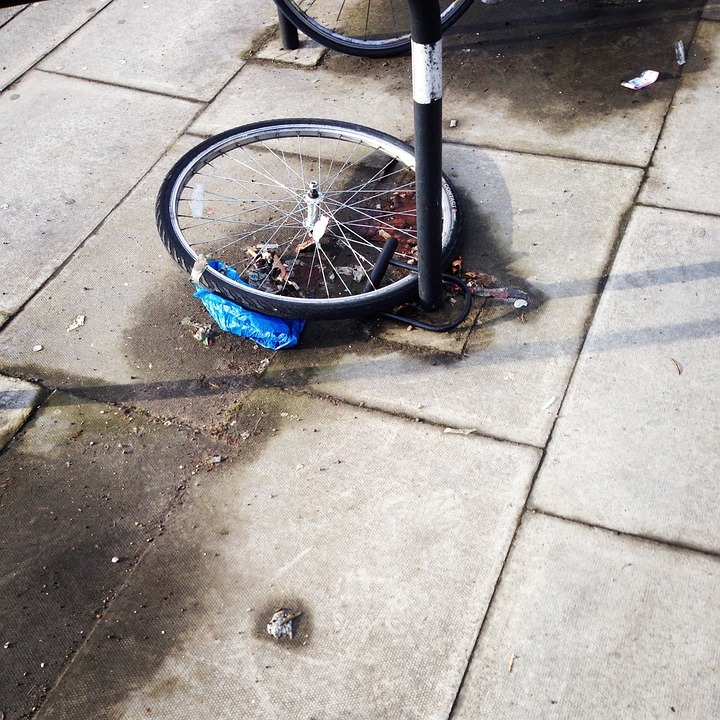 This bike theft was definitely the work of Kaz Brekker. So when a scientist named Bo Yul-Bayur, inventor of a drug called jurda parem, is abducted by the Fjerdans, a wealthy merchant named Van Eck hires Kaz to go get him back. The catch? Bo Yul-Bayur has been taken to the Ice Court, the most secure prison in the world, deep in the frozen country of Fjerda. And since Bo Yul-Bayur’s drug has a powerful effect upon the Grisha, Kaz isn’t the only one who’s after him. Kaz assembles a team of fellow criminals to help him rescue Bo Yul-Bayur: Inej, a deadly spy known as the Wraith; Nina, a former Grisha soldier from Ravka; Jesper, a Zemeni gambler and sharpshooter; Wylan, a runaway merchant’s son turned bombmaker; and finally Matthias, a Fjerdan convict and ex-witch-hunter. Kaz can’t infiltrate the Ice Court without this crew of outcasts, but that doesn’t mean he trusts them, and Dirtyhands himself is definitely the least trustworthy of them all. I usually don’t like books that are this bleak, but I am also a sucker for characters who adapt to their harsh surroundings, and surroundings don’t get much harsher than what these characters had/have to deal with. Did I like this book? Definitely yes. Would I want to know any of these people in real life? Not really. Maybe Inej, but even then probably not since she is like a silent ghost tornado covered in knives. Like this, but with knives. The only reason why this book does not count as a top banana book for me is because I wasn’t overwhelmingly impressed with the whole Grisha magic concept. 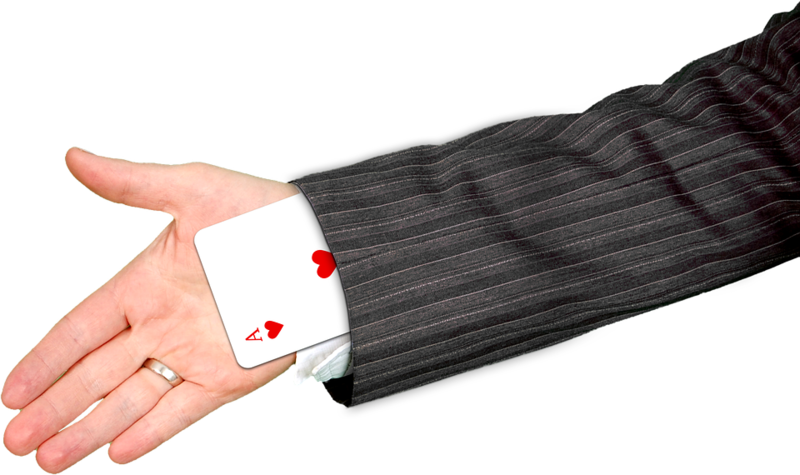 Basically there’s three different types of Grisha–Corporalki, Ethrealki, and Materialki–and then a few subtypes that fall under those larger categories. And then there’s the most dangerous magic of all! Street magiki! Nina, for example, is a type of Corporalki called a Heartrender. The Healer type of Corporalki heal sick and injured people (obviously), but Nina’s type is trained to do bodily harm and often become soldiers. All in all there’s only about seven different types of Grisha actually named in the book, which seems pretty limited. I was disappointed that such an inventive world would have such a simple system of magic with only a handful of different types of witches. There’s always a possibility that the magic aspects are more fleshed out in Bardugo’s previous books, however. I would have to read them to find out, so I’ll let you know how that goes. If you like fantasy but you get bored of English-countryside, Tolkien-esque settings, then you should know that Six of Crows is set in a magical world based more on Russian culture. It almost seemed a little steampunky at parts, or like a western. So, it’s a Russian steampunk western heist book and all the main characters are criminals. Are you sold yet? You should be. Also, bonus: there is going to be a sequel to Six of Crows out later this year, so if you are looking for a new series, congratulations! This is that series. We also have it as an e-book! 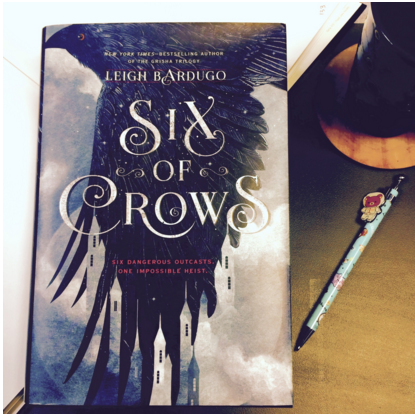 Tags: book review, criminals, heist, leigh bardugo, six of crows, YA books, YA Reads. Bookmark the permalink.